You are going to Watch Naruto Shippuden Episode 263 English subbed online free episodes with HQ / high quality. 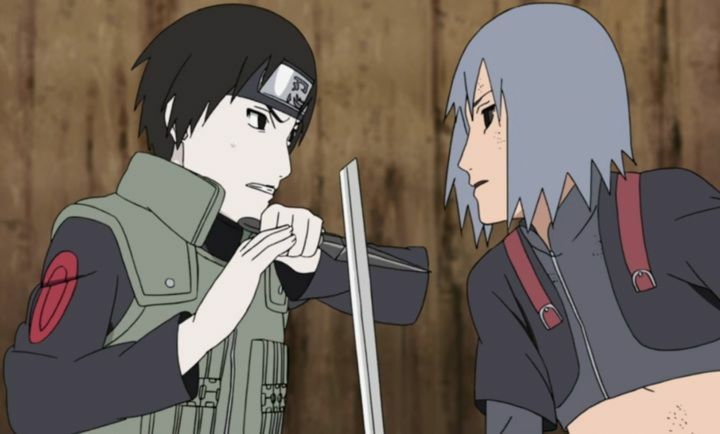 Stream Anime Naruto Shippuden Episode 263 Online English sub Sai and Shin. As the battle between the two divisions gets under-way, Shin is sent in to battle Kankuro’s Sasori puppet, and the clay Deidara set in Shin’s stomach explodes. The explosion is stifled by Kankuro’s puppet which encased Shin. Enraged by Deidara’s reference to his brother as a bomb, Sai knocks Deidara and Sasori out of the air and into Kankuro’s awaiting puppets. Shin sees the drawing of both him and Sai holding hands which frees his soul. Moved by Kankuro’s speech of how he obtained immortality through the puppets he created, Sasori entrusts Kankuro with his Mother and Father puppets, and asks him to pass them down to the generations to come before his soul is also freed.